Applications are invited Online only from qualified candidates for appointment in the undermentioned post in Kerala Government Service. Before applying for the post the candidates should register as per One Time Registration through the official website of the Kerala Public Service Commission. The above vacancy is now in existence. The list of selected candidates published by the Commission in response to this notification shall remain in force for a minimum period of one year provided that the said list will continue to be in force till the publication of a new list after the expiry of the minimum period of one year or till the expiry of three years whichever is earlier. Candidates will be advised from the said list against the vacancy noted above and also against the vacancies if any reported to the Commission during the currency of the list. Note: 1. Candidates belonging to SC/ST, Other Backward Communities and not already in service of Government shall be eligible for relaxation of age limit as provided in Sub Rule -C of Rule 10 Part II of the Kerala State and Subordinate Service Rules, 1958 subject to the specific condition that upper age limit shall in no case exceed 50 years. 2. The upper age limit for recruitment for the post shall in the case of any candidate already in the department including the candidate belonging to SC/ST/OBCs be 50 years. Note: (1) Only a pass in Masters Degree in the concerned subject is necessary in case of candidates already in the department. (2) The qualification of experience prescribed for the post shall be one acquired after the acquisition of the academic qualification prescribed for the post. (3) Candidates belonging to any of the SC or ST need not possess the qualification of experience prescribed for the post. 8. Reservation of appointment: The rules of reservation prescribed in General Rules 14 to 17 of Part II of KS&SSR 1958 are not applicable to this post. Probation : Every person appointed to this post shall from the date on which he joined duty, be on probation for a total period of two years on duty within a continuous period of three years. 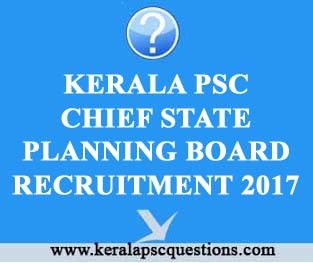 Candidates must register as per “ONE TIME REGISTRATION” with the Official website of the Kerala Public Service Commission www.keralapsc.gov.in before applying for the post. Candidates who have registered can apply by logging on to their profile using their User-ID and Password. Candidates must click on the 'Apply now' button of the respective posts in the Notification Link to apply for the post. The Photograph uploaded should be one taken after 31/12/2010. Name of the candidate and the date of taking photograph should be printed at the bottom portion. The photograph once uploaded meeting all requirements shall be valid for 10 years from the date of uploading. There is no change in other instructions regarding the uploading of photographs. No application fee is required. Candidates shall take a printout of the application by clicking the link Registration Card in their profile. Candidates are responsible for the correctness of the personal information and secrecy of password. Before the final submission of the application on the profile, candidates must ensure correctness of the information on their profile. They must quote User-Id for further communication with the Commission. Application submitted is provisional and cannot be deleted or altered after submission. The applications will be summarily rejected if non compliance with the notification is found in due course of processing. Documents to prove qualification, experience, community, age etc have to be produced as and when called for. (b) “Candidates who have AADHAAR card should add AADHAAR card as I.D. Proof in their profile”. 10. Last date for receipt of applications :- 01.02.2017 Wednesday up to 12.00 Midnight.